Yes, I do realize Valentine’s Day is over, but why do I need a specific day to do a post about hearts?! 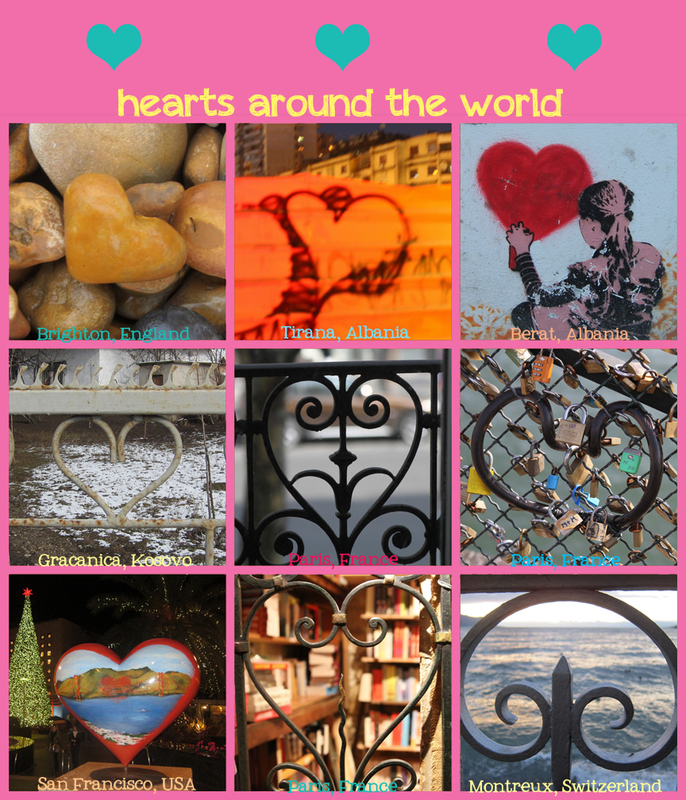 On my travels, I’ve been spotting hearts all over – some meant to be hearts, and some just happened to resemble a heart. So, I decided to put together a little collage of ones I’ve found around the world. Enjoy! Happy Friday!